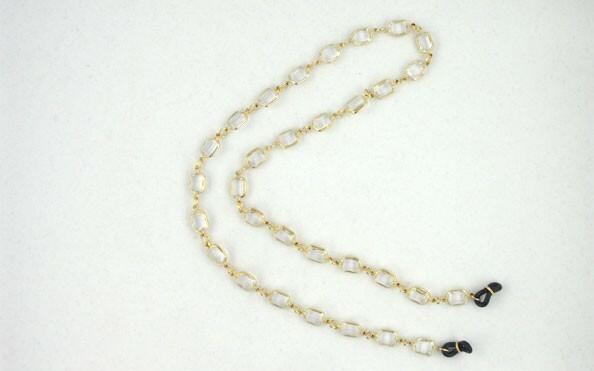 Tiffany eyeglass holder. 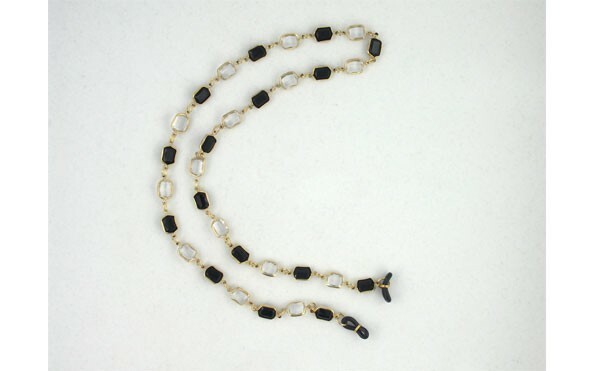 A metal based 27" long eyeglass chain. 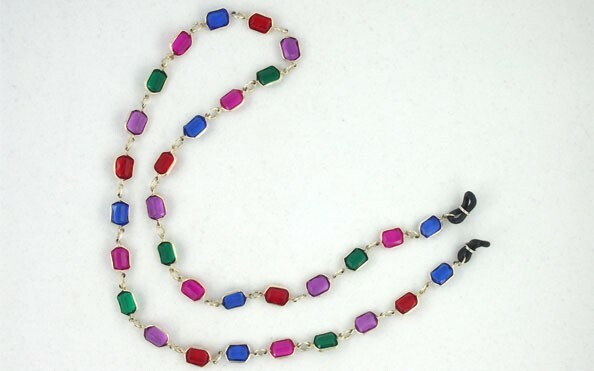 Silver plated elegant chain, in bright, happy multi color brilliant stones. Will dress up any pair of reading glasses or sunglasses. Choose from gold tone plating or silver tone plating.